Engineer Bernard Musarurwa holds a BSc. degree in Civil Engineering and another in Geological Engineering and has extensive experience in the fields of geotechnical engineering, construction materials, road pavement design, quality management systems, highway design, transportation and highway engineering. 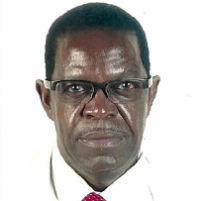 Eng Musarurwa has a total of 32 years of post graduate experience all of which have been in the civil engineering field as a Consultant which has covered every aspect of the engineering requirements of the project, including feasibility studies, detailed engineering design, road rehabilitation with emphasis on pavement and geotechnical/materials engineering. Lloyd Pararai Fende is a Civils Partner Managing the Civils Division of Brian Colquhoun Hough O’Donnell and Partners (BCHOD) in Zimbabwe and involved in interdisciplinary management of various projects locally and regionally. Has 30 years Post Graduate experience of which 20 years have been with BCHOD and 6 years with Ministry of Water Resources and Development of Zimbabwe, 4 years with others. Lloyd is involved in general Civil Engineering, infrastructure planning, development and implementation at strategic level, heading feasibility study teams and project implementation managers. Was a Design Engineer and land use advisor on diverse projects including: Mining project in DRC. Designed and supervised construction of small, medium and large dams for The Ministry of Energy, Water Resources & Development and private small farm dams. Lloyd is currently involved in the study and rapid technical appraisal and reporting for remedial and rehabilitation works to water and sanitation infrastructure in cities and towns in Zimbabwe. Was Team Leader on several projects which included Marondera Sewage Treatment plants, Murowa Diamond’s infrastructure Expansion project and Africa University Sewage Ponds Expansion, Land Use Plans for Zimbabwe Airports, Mushimbili Dam for the Kapiri and Mposhi Water Supply and Sanitation Project for the Zambian Government. As Senior Projects Engineer, Lloyd was responsible for among others, Nyanga Sewage Master Plan, Kunzvi Water Supply Project, Interpol Sub-regional Head Quarters ZimDev Head Quarters, Harare and Resident Engineer responsible for design, documentation and supervision of construction of 10 ML/day water treatment plants [Chinhoyi], 72 ML/day Firle Sewerage Treatment plant for City of Harare. Eng Fende has been a ZACE member since 2011 and Council Member from 2013. Eng Fende is happily married and blessed with a family of four sons and two daughters. 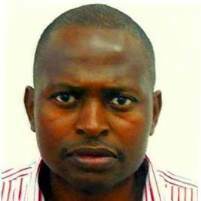 Jabulani Gumbodete is a Chartered Engineer working as the Managing Director for MEP Consulting Engineers, Zimbabwe: a company that specialises in the design and supervision of building services engineering. His experience covers the design, specification, supervision and project management of building services engineering installations for institutional, commercial, industrial and residential projects. He is a specialist in the provision of hospital and healthcare building services. Engineer Gumbodete has twenty-eight years building services experience split between Zimbabwe and United Kingdom. He spent ten years working for top building services consulting engineering firms in the United Kingdom. 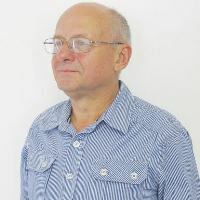 He is a Chartered Engineer with the Engineering Council UK. He is a corporate member of the Institute of Engineering and Technology (MIET), corporate member of Chartered Institute of Building Services Engineers (MCIBSE), corporate member of Zimbabwe Institute of Engineers (MZweIE), member of the Zimbabwe Association of Consulting Engineers (MZACE) and is a registered Professional Engineer with the Engineering Council of Zimbabwe (ECZ). 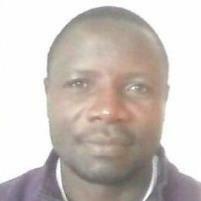 Eng Gumbodete is a member of Council for Marondera University of Science and Technology. Rajendrais a Partner with the multi-disciplinary Consulting Engineering firm Brian Colquhoun Hugh O ‘Donnell (BCHOD)& Partners. 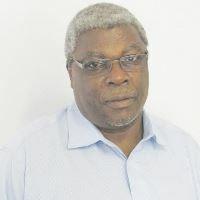 He qualified in electrical engineering at the University of Zimbabwe in 1985 and joined BCHOD in 1989 after a short spell with ZESA, ( 1985 – 1989).He is a Chartered Engineer with 25years experience in the field of electrical engineering associated with Building Services ,Infrastructure, Sewage and water treatment works, mining and industrial fields predominantly in Zimbabwe. He has been involved in a wide range of office block, residential and commercial developments in Harare . 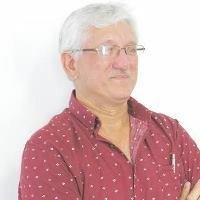 His experience with design of electrical services to high rise buildings include those that make up the Harare CBD skyline, Century Towers , Angwa City Center, Corner House , Megawatt House,101 Union Avenue, Unity Court, Meikles Hotel and Reserve Bank of Zimbabwe. He is married with one son and his favorite hobbies include playing sport ( golf and tennis) and reading. Patience is a qualified Professional Engineer with 29 years working experience. 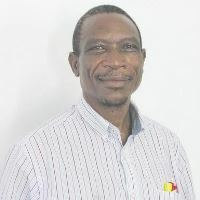 He is managing director of PAMA Engineering Consultants where he heads the civil engineering section specialising in the design and supervision of construction of Roads and Stormwater Drainage, Water and Wastewater Engineering and other Civil Engineering Projects.Engineer Madzimure is currently the chairman of the Public Relations committee and has over the years sat on other committees within ZACE and is also a Past President. Eng. Madzimure is married to Tecla and are blessed with two sons and one daughter. Eng. Itayi W. Makoni holds a B. Sc. (Eng) (Hons), University of Rhodesia (1979) and M. Sc. 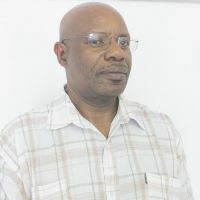 (Highway Eng), University of Zimbabwe (1985),and has been a Director at Civil Consult for the past 23 years with 30 years experience in the field. Civil Consult (Pvt) Ltd is primarily a structural and civil engineering consulting firm that has been offering quality service to its clients since its inception in 1992. Through its dynamic team of engineers the firm has carried out a wide variety of projects in the fields of structural, civil, transportation, water and environmental engineering. Itayi has experience in all aspects of project and construction management from feasibility studies through concept design, detailed design to final hand over.Itayi has been an active member of the ZACE Council for some time and was Chairman for the year 2011 to 2012. © 2016 All rights reserved. Site by wilsoft.